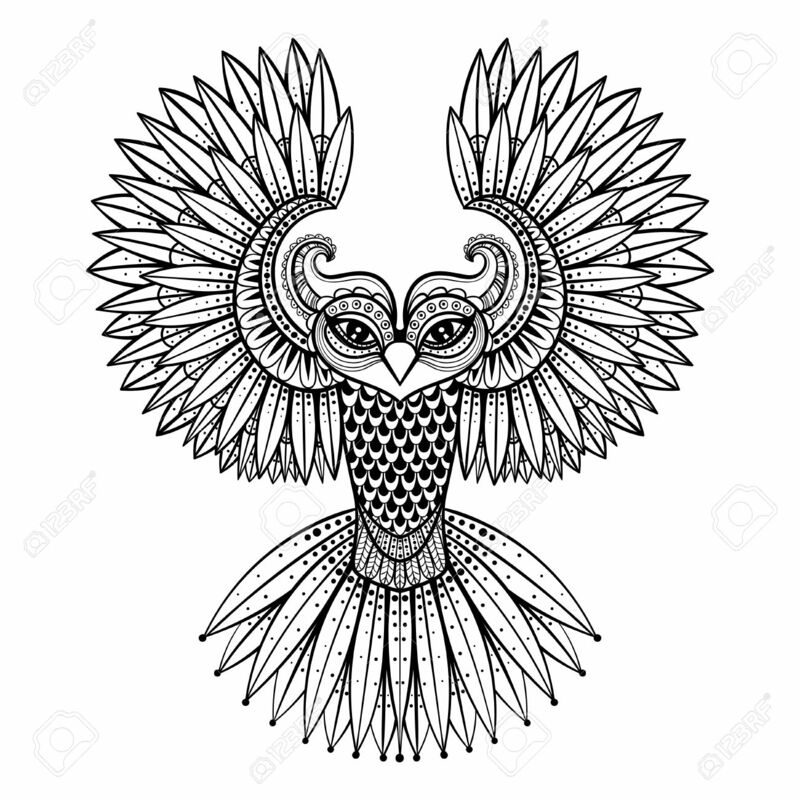 Vector Ornamental Owl, Ethnic Zentangled Mascot, Amulet, Mask Of Bird, Patterned Animal For Adult Anti Stress Coloring Pages. Hand Drawn Totem Illustration Isolated On Background. Клипарты, векторы, и Набор Иллюстраций Без Оплаты Отчислений. Image 51456691. Фото со стока - Vector ornamental Owl, ethnic zentangled mascot, amulet, mask of bird, patterned animal for adult anti stress coloring pages. Hand drawn totem illustration isolated on background. Vector ornamental Owl, ethnic zentangled mascot, amulet, mask of bird, patterned animal for adult anti stress coloring pages. Hand drawn totem illustration isolated on background.